We are excited to welcome Stacy Niksich as our new Interior Designer! 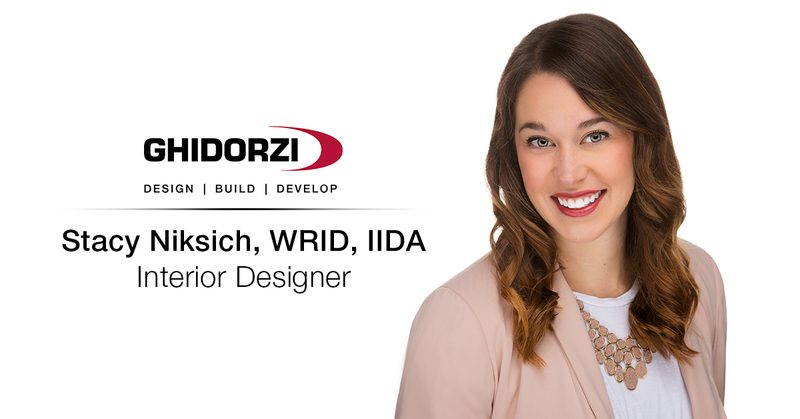 Her experience customizing commercial spaces to meet unique client needs in diverse industries is a perfect fit for our organization where she will play an important role impacting spaces across our business lines of design build construction, lease space and hospitality. Stacy is passionate about embracing the needs of our clients by designing spaces that are not only beautiful and timeless, but accessible and functional. Her favorite aesthetic is a diverse blend of textures, patterns and colors. Stacy’s most recent role was with Lakeland Health, a nationally recognized health system based in Michigan that includes three hospitals, various clinics and physician residence center. She is a Wisconsin Registered Interior Designer (WRID) and has a Bachelor’s degree in Interior Design from Western Michigan University. Stacy is a member of the International Interior Design Association and has received her National Council for Interior Design Qualification (NCIDQ) certification. Outside of work, Stacy enjoys cooking, fitness and keeping up with her two young boys.